In the beginning when I first came across astrology and as my interest continued, I remembered that as my intention of taking it more seriously became more evident, my nervous anticipation became more jubilant and uncontrollable. My first day in class was likeAlicein Wonderland, so many things to discover and so little time. Before I knew it the two and half hours came to a close, and I was like a little child at the candy store, I didn’t have enough pockets to stuff all the goodies or enough time to taste it all. As the weeks continued I began to calm down and realized that beside the sweet and tasty candy available, there were also the bittersweet and tart ones in life that one would get acquainted with. Astrology is like the candy store and life itself, a diversity of things we like, dislike, and that which we hope to encounter and taste only once in life, and to avoid in future encounters. The one thing I appreciated about my first teacher was her ability to create the subject matter in an atmosphere of grandiose and majesty as she presented the rules and regulations one needed under one’s belt in order to begin to delineate any chart. The planets were represented in royal pageantry with the Sun and Moon being the King and Queen of the land, and everything else had its place in court. Some of the first nobles in the court I had apprehensions about were those who represented the malefic wing in the kingdom versus the benefic fraction. There are always intrigues and situations that are not what they appear on the surface at any royal court. As in any kingdom, there will be different opinions and interest, and the infighting can be very subtle or out in the open. One of the first royals to be introduced was the aspects and they were divided into the benefic and the malefic members of the court. I had misgivings because I associated the aspect with good versus bad or easy opposed to complicated. It took some time in getting to realize and to understand their role in life, which made me see them in a new light. The malefic included the squares which with their different point of view were trying to redirect our final destination one has decided on. The opposition was either our subconscious creating our ambition or the determination and aspiration of others pushing us towards our goals we originally set. As I continue to grow I realized that I had stereotyped the malefic and benefic into rigid ideologies without giving them a chance to express their individualities. The truth is that the benefic are more generous and protective and the malefic are more structured and demanding, and both depending on the circumstances and situations may be good or evil in one’s life. Suddenly I began to see the square as one that is trying to introduce new ideas or ways which may derail us from what we thought was vital and important to us at the moment. The oppositions are pushing us so hard that we may miss everything else along the way. Having been at the royal court for awhile, especially as the world as a whole is spinning ever so quickly into the future, we must not forget the reason the nomenclature was given in the first place. In this modern world, we may wish to see everything in terms of the different shades of gray from white to black, but never as truly white or black. In reality we need to judge each situation individually, the same is true with the aspects. For example a benefic aspect may materialize as an inheritance, and the way it was spent may turn the circumstance into something one might call malefic. Or a person losing their job, and needing to learn to study hard to gain a new skill may have seemed bad and a difficult situation in the first place, but the final consequences may prove to be a blessing. This reminds us that the aspects are telling us whether there may be help that we can count along the way or obstacles to be conquered. It is how we deal with it, or if we deal with it at all, that determines the ending and how we learn from it, if anything. To me, the square and opposition are signposts that we need to experience and learn something from. The difficulties may hinder the process, but if we endure and follow through, the result is a step to the next level of growth and a bit closer to our hopes and dreams. This is also the case with the aspects of the sextile or trine which are considered very beneficial, and at times, may cause a disastrous domino effect. This teaches us that we may be in awe with the nobles in their full ceremonial dress at court, but that we need to have care, caution, attention and awareness if we are to out maneuver the intrigues of the royal court for a well thought out delineation of any chart. “The Lovers’ Sextile Versus The Empress’ Trine” is a somewhat stylish title, if I say so myself, but in actuality there is no contest to which is the beneficial aspect. Most astrologers, including myself would say the Trine is the most helpful, but after the following thoughts, one might change one’s opinion. 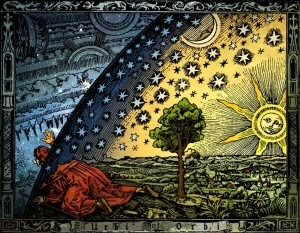 Astrology like the other occult sciences deals with numbers and their symbolism and relates everything back together. As Morin taught, everything has its’ meanings and the ability to understand the relationship of all the planets and the houses, to one another is the key to the delineation of any chart. The Sextile is sixty degrees between two planets with the number reduced to six. The Trine is one hundred twenty degrees between two planets, or two sextiles apart with the number reduced to a twelve, then to a three. The spiritual meaning of the number Three deals with the holy trinity; the past, present, and future, just to name two examples. There is a need to express yourself creatively, independently, and to consider the direction you are going to take towards your future goals. The number Six reveals solutions for us in an organized method aimed towards diplomacy when dealing with sensitive situations. The number Twelve deals with an important spiritual completion to a project such as the twelve tribes, the twelve houses in the Zodiac, etcetera. 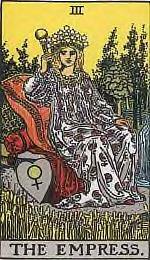 The three in the Major tarot trump is The Empress card (Venus the ruling planet) which shows a beneficent pregnant Mother Goddess giving birth to all potential concepts and forms, capable of existence in the entire cosmos. The number six is the Lovers card (Gemini the ruling sign) which is essentially the attraction of ideas. 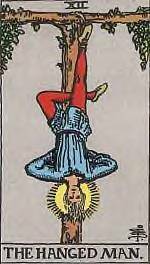 The twelve is The Hanged Man (Neptune the ruling planet) which signifies one who must undertake a journey of growth. Sextiles is the easy flow of energy between two planets that gives the individual the ability to accomplish much and the opportunities are easily accessible. This does not mean that it will be laid in the person’s lap, but that the person still has the responsibility to make it happen. The Trines are approximately four Signs apart and are usually planets found in the elements of Fire, Air, Earth, or Water. The aspect is similar to the sextile and is more favorable, but the down side is the willingness to do little with the gifts. One is blessed with minimal effort and the presence of the trine helps to balance out the other less favorable aspects. What is the conclusion one comes up with is that both aspects are favorable, depending on how we put it to use. Step back for a moment, and you will realize that although the Trine is more favorable, it is also the aspect that is our Achilles’ heel, which may bring our down fall. The Sextile pushes us to look around our environment and to make decisions for a better future. It reveals the hidden talents and assets that are hiding under our insecurities and brings them to light. Like the Lover card the lovers create a third point in the relationship which is the two becoming one. They no longer think as two separate individuals but as one unit in the universe. The Trine is made up of two sextiles, telling us although we have a silver spoon placed in our lap; we better put it to good use to get the beneficial rewards. A sextile to a third point produces a Yod which is the finger of God or Fate, telling us to direct our thoughts to a central point or cause. So as with a trine, it is telling us to secure a firm foundation for the future we want With past experiences I have come to the conclusion that the squares, oppositions and sextiles are easier to work with in achieving the potentials in our chart. In reviewing the meanings of the major aspects, planets make, I realized that through the years I have developed my own method in understanding their influences upon the chart. For me in using this method I no longer see an aspect as favorable or as a hindrance, but as an aspect to be integrated and to be used to its best potential. A conjunction is an aspect in which two planets or more are close enough, that their energies are connected together. For example Jupiter and Venus would exert a generally fortunate influence, where as Mars and Venus would exert a more active and intense influence. One should see it as two people standing side by side in a circle looking towards the center; they support each other and feel the influence of the other, but can not see each other. To me this means the influence is only an advantage if we are aware of it and put it to good use. A conjunction can only promise an effect, to bring it into reality one must work with it. To help give more meaning to these aspects I have given planet Mercury as the overlord to the conjunction as it is the planet that tends to take on the influences of the planets it befriends, and this is what a conjunction does. These overlords are keys to a greater understanding and expansion of the aspects. Working with them works wonders in ones interpretation of the zodiacal chart. An opposition is 180 degrees between two planets, is referred to as the aspect of separation. It is regarded as challenging and tends more to signify inner conflicts between internal and external factors. The opposition can represent one’s own inner conflicts which are influencing us or some outer source pushing us to make a decision. The opposition indicates a stand-off where it is impossible for the two planets to function simultaneously, one will dominate. The overlord would be Mars as it represents strength of will for action to fight the obstacles in life and to penetrate the world. The square is 90 degrees between two planets, and is regarded as challenging and inharmonious. It is the most difficult of the hard aspects because if we imagine we are one of the planets and the planet who is squaring us is represented by another person who is to the side of us and this person is pushing us side ways. The opposition, the person is either in front or in the back of us pushing us forward or backwards which is more conducive to our thinking. The person pushing us side ways is trying to redirect our direction and we apparently are putting up a fight until after much struggle we decide to turn in that direction. The squares are the dark nights of the soul, but if we get through it, the accomplishment we achieve is the pot of gold at the end of the rainbow. The overlord for the square is Saturn which represents structure, steadfastness, limitations, security, stamina, and consistency. A sextile is an aspect of 60 degrees between two planets, is traditionally regarded as beneficial. The sextile drops opportunities in ones lap, but we must develop the potential handed to us to receive the rewards. The overlord is Venus the symbol for love, feeling, harmony and one who can bring and merge things together. The trine is an aspect of 120 degrees between two planets, is considered harmonious and an easy flow between the two. Its aspect is good fortune, as the two planets really like one another. Just think of it as a silver spoon in the mouth as everything comes together with ease. 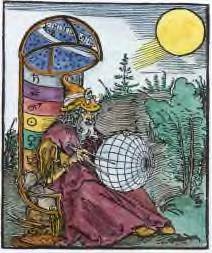 The overlord is Jupiter, who is most generous and has much dignity, wisdom, hope, morals, affluence, success, and abundance. There are more key words one can find for the overlords in other sources, but the more you use it with the aspects, they will begin to reveal more of their secrets. Your interpretations of the chart will come alive and be more meaningful.